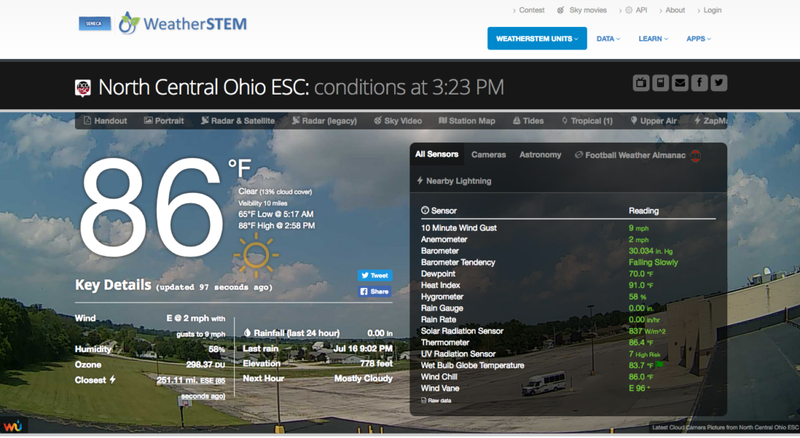 North Central Ohio Education Service Center has integrated a WeatherSTEM unit as a way to further science, technology, engineering and math education through lessons and activities. WeatherSTEM is a custom alert platform that uses weather sensors to gather and store data, displays the data online on a custom page, showcases current weather conditions and forecasts, and features data mining tools that can be used by teachers. 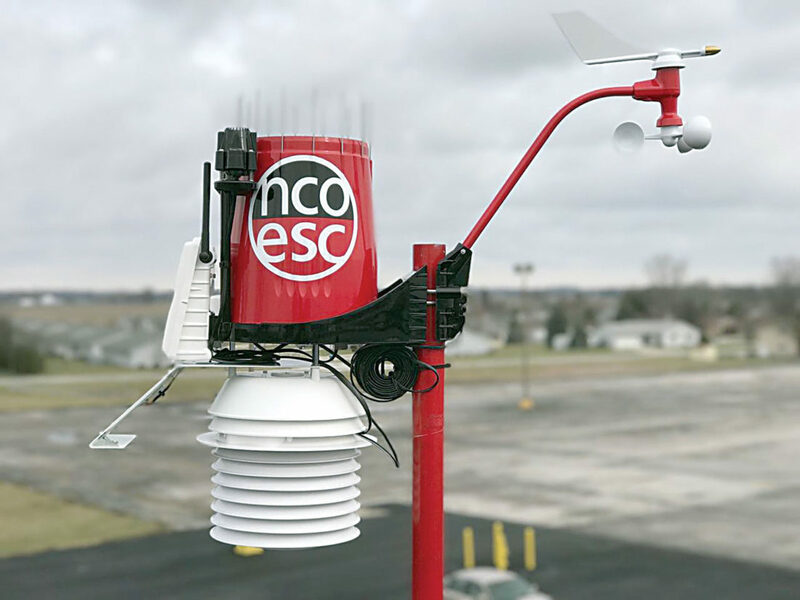 NCOESC has a WeatherSTEM unit on the roof of the building at 928 W. Market St. Andy Campbell, NCOESC distance learning coordinator, said he uses it in his distance learning center for lessons, and math and science teachers use the data for lessons and hands-on activities. Campbell said the unit can indicate wind speed, temperature, amount of rain fall, electricity, energy, forecasts storms and other information. Campbell said teachers who have used the program have used the data obtained to create tables, charts and graphs. They can collaborate with other institutions who use the program to create forecasts. NCOESC first started planning in February to procure a WeatherSTEM unit, Campbell said. The institution also is the exclusive Ohio sales partner with WeatherSTEM. Campbell said not just schools or universities can use WeatherSTEM, but companies, government agencies and farmers can use the program to indicate different agricultural conditions. Campbell said athletic teams use the program to help with training. To know more about the program or to purchase a WeaterSTEM unit, contact Campbell at acampbell@ncoesc.org, Kathy Mohr at kmohr@ncoesc.org or call (419) 447-2927.